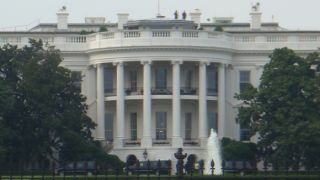 Last month 61-year-old mailman Douglas Hughes flew his gyrocopter into one of the White House gardens, intending to deliver letters of protest about the influence of big money lobbying on US politics. Rather unsurprisingly, he was promptly arrested. In hindsight he might want to reflect on his choice of protest - the Associated Press reports that Hughes could face up to nine-and-a-half years in prison. He faces six charges, including operating as an airman without an airman's certificate, violating aircraft registration requirements and violating national defence airspace. It appears he could also be heavily fined and have his gyrocopter confiscated, lest he be tempted to make another stand for democracy. On the plus side, he didn't get shot out of the sky - he can be thankful he's still breathing. Hughes is appearing in a federal court in Washington today. The Florida man isn't happy. "We are looking at a case where there was no injury and no property damage, and the requirements as far as what the prosecution is asking for include years of jail time," Hughes told the AP. "The penalties that they are demanding are not consistent with the damage."